Scarborough and District buses are running four new single deck buses representing about £½million out of a total investment of £1.6million in ten new buses for the EYMS Group fleet. 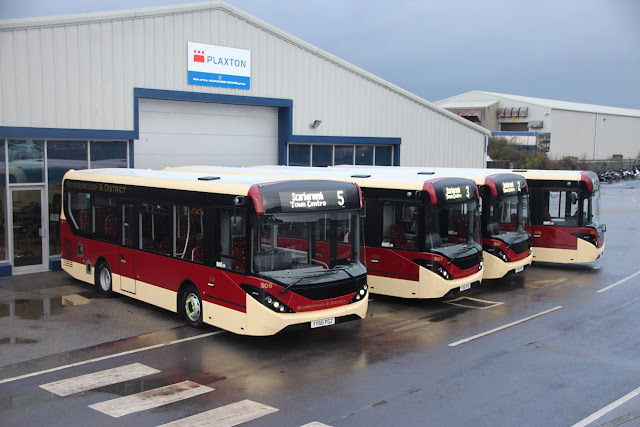 The other buses are six double decks which are going into the East Yorkshire fleet in the Hull and Withernsea area, but the four new buses for Scarborough have been locally built by Alexander Dennis Limited (ADL) at its Plaxton factory and they will replace much older similar size buses in the Scarborough and District fleet. The four, each seating 30 and built to the very latest exhaust emission requirements, will be used on local town services in Scarborough.